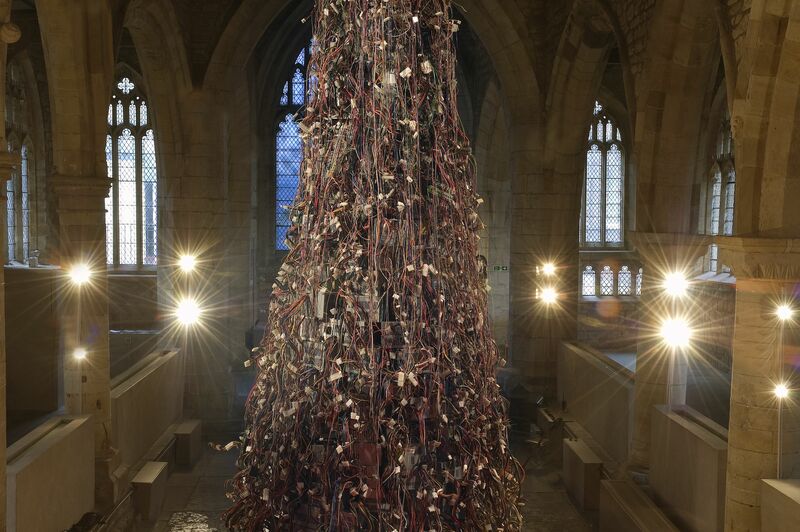 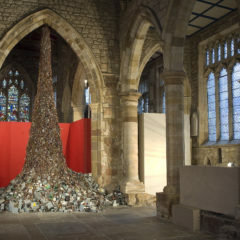 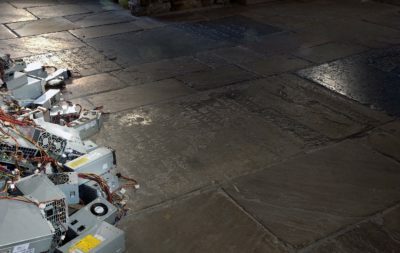 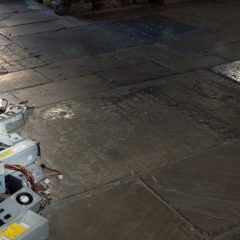 Susan Stockwell‘s installation Flood was made of six tons of recycled computer components, built into a tower which seemed to fall from the church’s ceiling and tumble into the nave of the church. 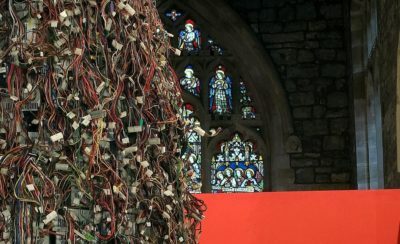 The components, lent by Secure IT Recycling of Cheshire, resonated with the church’s role as communicator and our contemporary obsession with electronic communication. 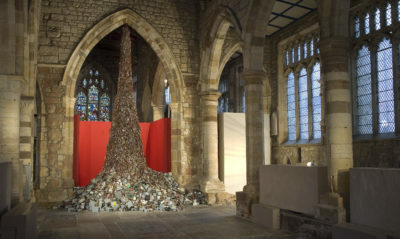 They were momentarily transformed into an installation, before being returned to the recycling process after the exhibition. 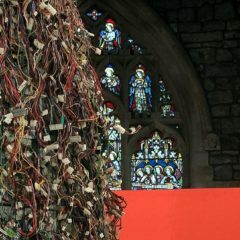 Susan Stockwell’s work takes many different forms from large-scale installations to small intimate studies, sculpture, drawings and collage. 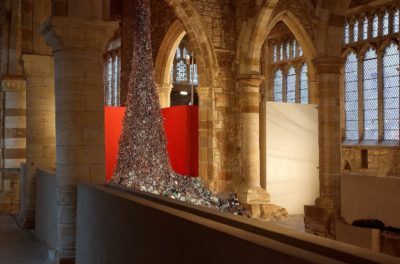 Stockwell is concerned with issues of ecology, geo-politics, mapping, trade and global commerce, and draws on everyday materials that are domestic, industrial and disposable – the products that pervade our everyday lives. 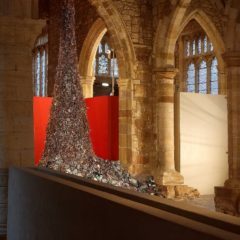 These materials are manipulated and transformed into sculptures that are extraordinary.